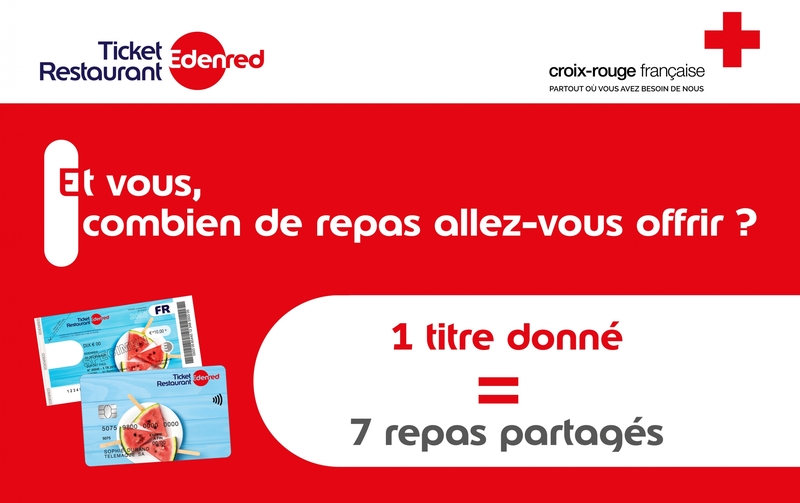 Like every year since 2002, this year again, holders of unused 2018 meal vouchers can donate them to the French Red Cross before March 31, 2019. 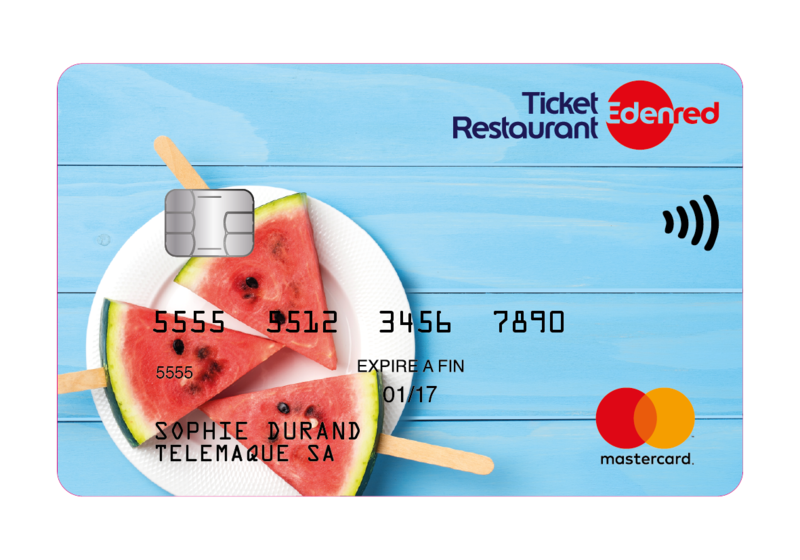 In 2018, the #RestauronsLaSolidarité campaign led by the French Red Cross and Edenred France, France’s top provider of meal vouchers with its Ticket Restaurant® program, collected a record-breaking €1,120,000. Donate your expired 2018 meal vouchers! On the strength of their success in 2018, Edenred France and the French Red Cross have renewed their partnership in 2019. Didn’t use up all your 2018 meal vouchers? You can donate them to the French Red Cross up until March 31, 2019, and help fund the organization’s work to promote balanced and healthy nutrition for its beneficiaries. Vouchers from the current year can also be donated, without any deadline. Employees who use the Ticket Restaurant® card can securely make their donations in just a few clicks. 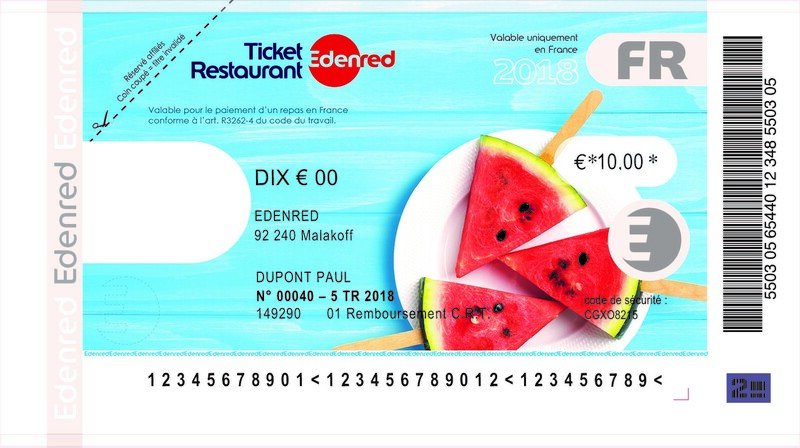 From March 2, 2019, they will receive a notification in their myedenred.fr account asking whether they want to donate their unused 2018 vouchers. It's also possible to make donations all year long on the French Red Cross website, up to €19 per day. In 2018, donations made using the Ticket Restaurant® card reached 64%, compared with 40% in 2016. Digital habits now rhyme with solidarity! Every euro donated to the French Red Cross pays for a full meal for someone in a vulnerable situation. Thanks to this money, local Red Cross units will also be able to purchase crucial equipment such as refrigerated trucks and refrigerators to collect and store fresh food, or to equip charity grocery stores. Remember that each donation given makes employees eligible for a tax deduction equal to 75% of the total amount.